There are many reasons why a thief may choose to steal your vehicle – it could be because something of value was left on the front seat or that they intend to break down the vehicle and to sell it for parts or to use the vehicle in a robbery. 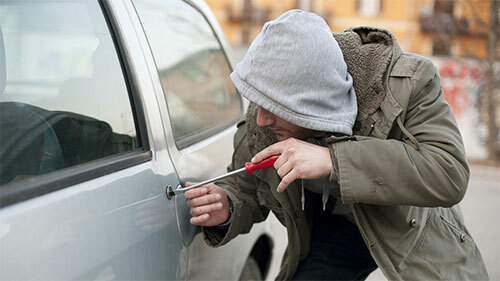 To prevent and stop theft the usual technology employed is the vehicle alarm. Whilst an alarm is a noisy deterrent for a thief, if your vehicle / asset is parked where there are few people around, an experienced thief can quickly disable it. Check on your vehicle (asset or machinery) – if nearby. Remotely disable the vehicle (asset or machinery) as another layer of defence after the immobiliser. Usually the starter motor is disabled remotely. Contact the authorities and give them the exact location of your vehicle as it is being stolen maximising the potential for the quick recovery of your vehicle / asset. Besides utilising the alarm, another way to receive alerts of the theft taking place is the use of the “geofence” function available on all models of the Fleetminder tracker range. GPS trackers provide instant theft alerts allowing you to take action to stop the theft and aid in quick recovery of your vehicle or expensive asset. Currently the Fleetminder FM Lite and Platinum series GPS trackers allow for connection to your alarm system (as an input) for theft alert notification. For the remote disable feature – the output from the tracker is connected to the vehicle’s starter motor or some other connection to disable the asset. It’s recommended to have an experienced car alarm installer or auto electrician wire up the Fleetminder tracker to your vehicle’s alarm, starter motor etc. Often they will need to use a relay to switch and isolate the electrics as required. So it’s best left to them to do this. Once your Fleetminder tracker is wired up you can set the theft alerts using the FREE Fleetminder mobile phone app, or use the Live Tracking software. The mobile phone app also allows for “Location On Demand” using the “map” function. The enable/disable input button in the mobile app can be used to activate any alarm or sensor inputs (e.g. vehicle movement, or tamper switch) and the enable/disable output button in the app allows for alarm siren, door locking, starter motor activation. Don’t worry if this sounds a little confusing, contact us at Fleetminder support if you require assistance with setting the theft alerts. Click here for Fleetminder support.